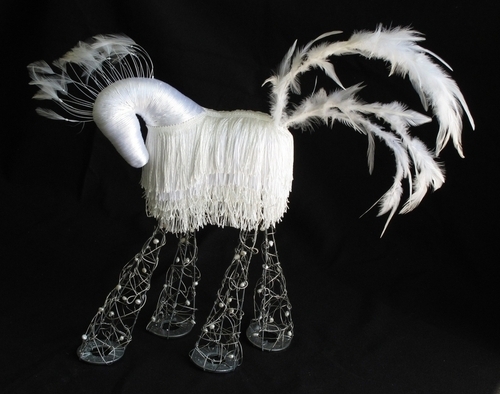 mixed-media: satin cord, fringe, feathers, wire, metal washers, fresh water pearls. 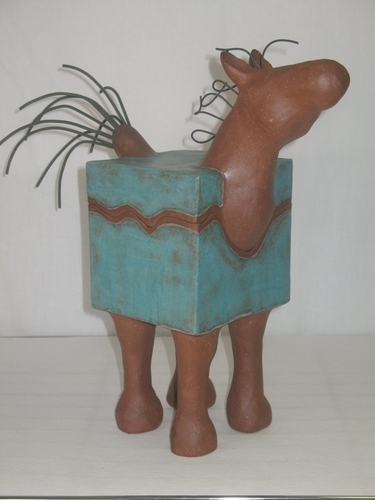 23"x24"x7"
Red stoneware with a turquoise glaze and wire "hair"
clay with foxtail barley grass seedheads. 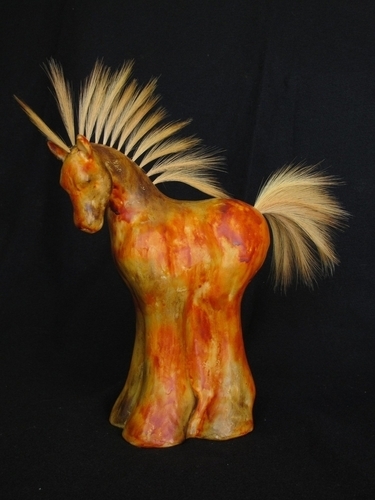 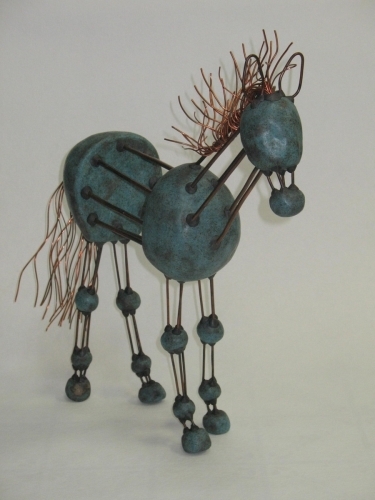 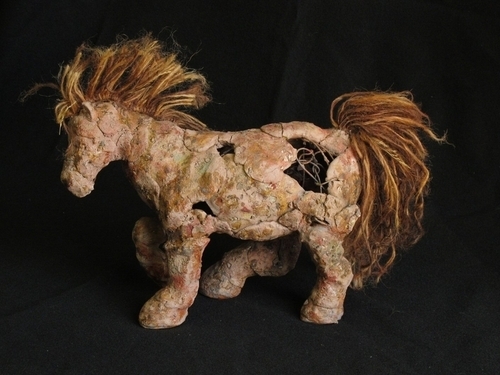 13"x12"x5"
Unfired clay with exposed wire support and jute mane and tail.